Things like power and light are undeniably taken for granted in the West. 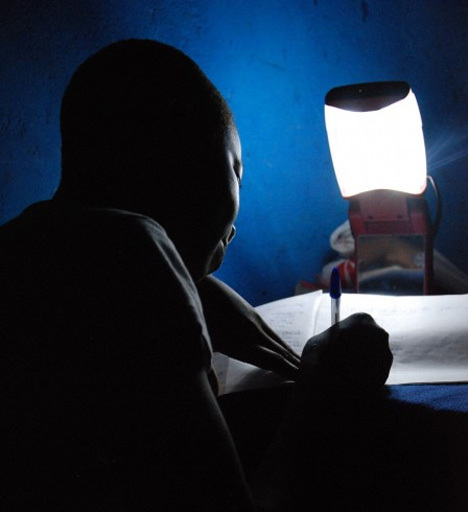 There are, nevertheless, large parts of the under-developed world that don’t have electricity. 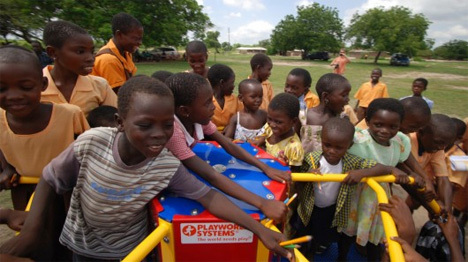 In Ghana, Empower Playgrounds President Ben Markham is cutely solving a somber issue. Markham spent 18 months in Ghana in 2006, where he noticed poor conditions in both the playground conditions and availability of electricity. The result was an inspired twist on a merry-go-round: the classic playground toy would be used as a power generator. 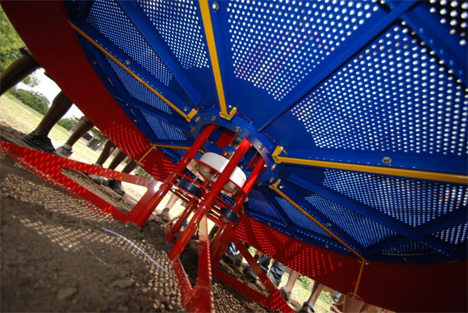 The mechanical system of the merry-go-round produces power with 70% efficiency. It takes the power from the revolving equipment and transfers it to a DC converter to be stored in a deep cycle battery. The Energizer Battery Corporation is a sponsor of Empower Playgrounds and provides lanterns that store 40 hours of light from one charge. They’ve managed to combine efficiency and fun while providing essential utilities to villages in need. See more in Energy & Power or under Science. October, 2013.